Discussion in 'Archive' started by Artchem, Dec 25, 2018. Christmas is already upon us, and we're ready to celebrate with the charming Santa Girl in Elmoreden! Go hunting and obtain a Christmas Party Herb with a powerful effect that will help in leveling and farming! The Santa Girl has prepared a gift for you. Visit Elmoreden on holidays and you won't regret! Go hunting and obtain a Christmas Party Herb from various monsters in Elmoreden! Remember that the herb will not drop if you're hunting on "dark blue" monsters. The herb will not drop in Dungeon of the Abyss, and from raid bosses and their minions. The herb effect is applied immediately after picking up. The effect is applied to all party members. Right after the maintenance a charming Santa Girl will appear in all towns of Elmoreden. You can find her near the town Gatekeeper – under the large Christmas Tree. Use the /target Santa Girl command for easier searching. Speak to Santa Girl to get a special Magic Box. It is given to only one Lv. 20+ character per account (for the whole event period). 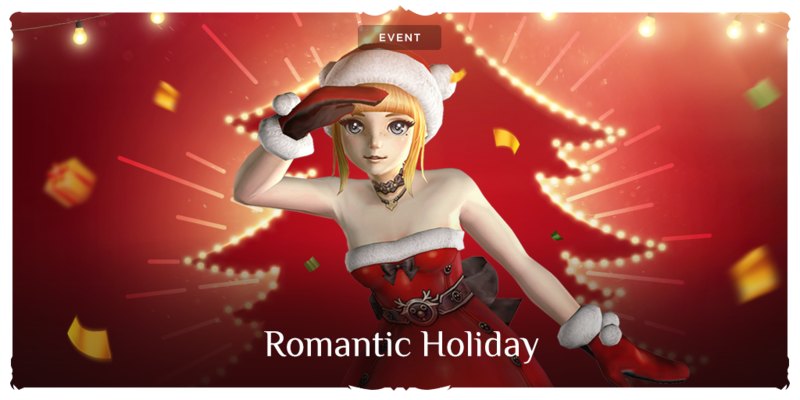 Double-click to obtain a Santa Girl's Gift buff. It can be obtained only once a day (the cooldown is reset at 6:30 AM). The magic box is not consumed after using. The buff lasts for 3 hours. When the buff disappears, a gift item appears in the character’s inventory. If the character is dead when buff disappears, they cannot acquire an item. They also cannot acquire an item if the inventory is full (at least 1 slot must be free). One of possible rewards from the Magic Box is an Enchant Scroll Ticket that can be exchanged for various Enchant Scrolls at Santa Girl. Santa Girl offers to exchange your standard Enchant Scroll for Blessed, Solid or Improved ones! Additionally, Adena and Enchant Scroll Tickets are required for an exchange. In different hunting grounds you may notice the large Christmas Trees restoring 1500 MP every minute to all characters in the range of 350. * Christmas Trees in towns do not restore MP. Aralthann, 1Shadow9Fists, Wilczka and 2 others like this. lucky stones will be deleted when event ends or stay in inventory ? There is only one (imo) good way to handle such events like this one and previous (lottery). Make mobs drop items that full "event bar", so when your "event bar" is 100% you get your reward. Lets say 1000 mobs green/white/red to your char. This way you are motivated to exp, get reward from mobs (exp/drop/elemental boost) + exp bonuses/buffs from event + the good reward at the end. If its made like this, you can be 1 or 80 lvl, you still need to go out and take down mobs, not stay afk in town with 20+ chars. Maya Reinhartz, Wadenbeisser, GentlemanJim and 3 others like this. This is a really good idea! I'd love to see something like this. Even a classic global drop item event is fine. Tradable . With an npc in town accepting these items for goodies. Is there any difference when a mob drops 1x xmas party herb or 3x? No. One replaces the other. They don't stack.